View From A Little Cottage On White Crest Beach In Wellfleet On Cape Cod. Phil had a very good friend who used to own a little cottage high on the dunes in Wellfleet. The cottage was small but the views were unbelievable! He started working with Ray Kroc at McDonald’s at the very beginning. We would sit outside his cottage overlooking White Crest Beach and reminisce about McDonald’ when it first started. He had such great stories. 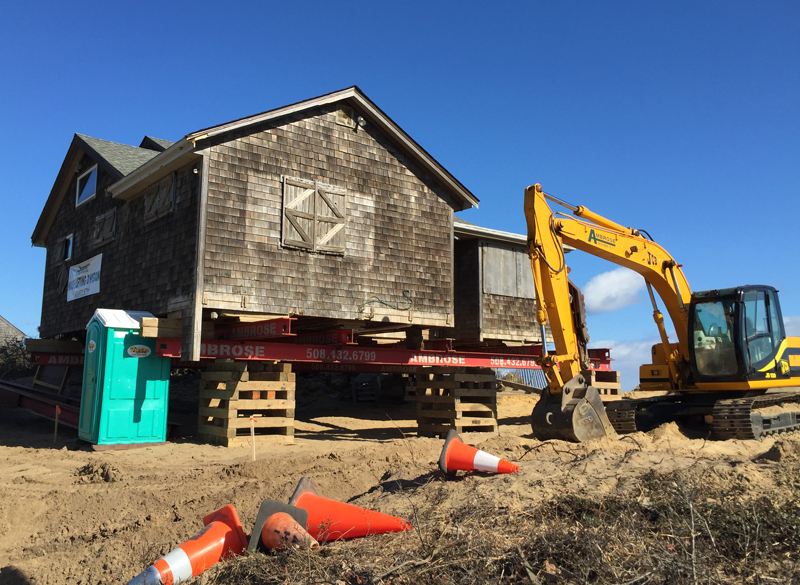 As the dunes eroded over the years and changed the shoreline, the cottage eventually fell into the ocean. We were living in Colorado at the time so we didn’t find out about it until we moved back east. We were able to locate where it was and this would have been his view if the cottage was still there. The good news for Frank was that he sold it 2 years before it fell into the ocean! 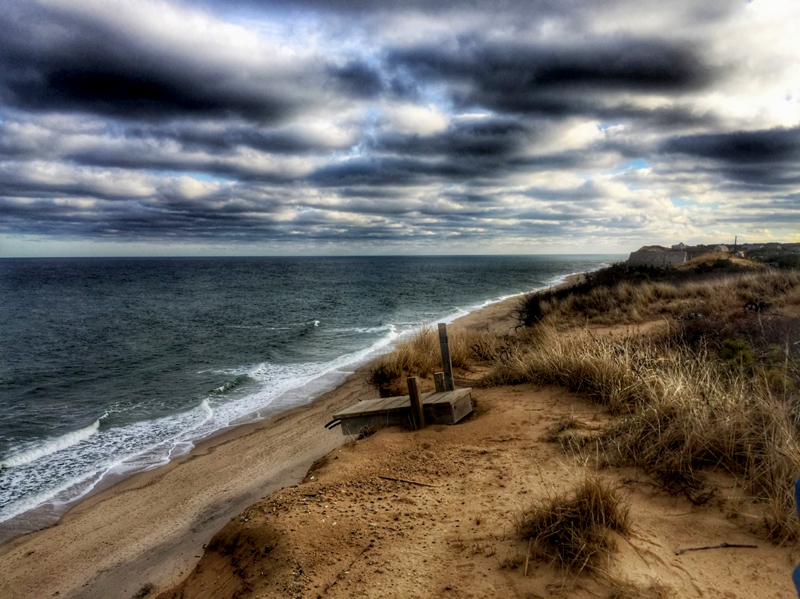 White Crest Beach In Wellfleet On Cape Cod. 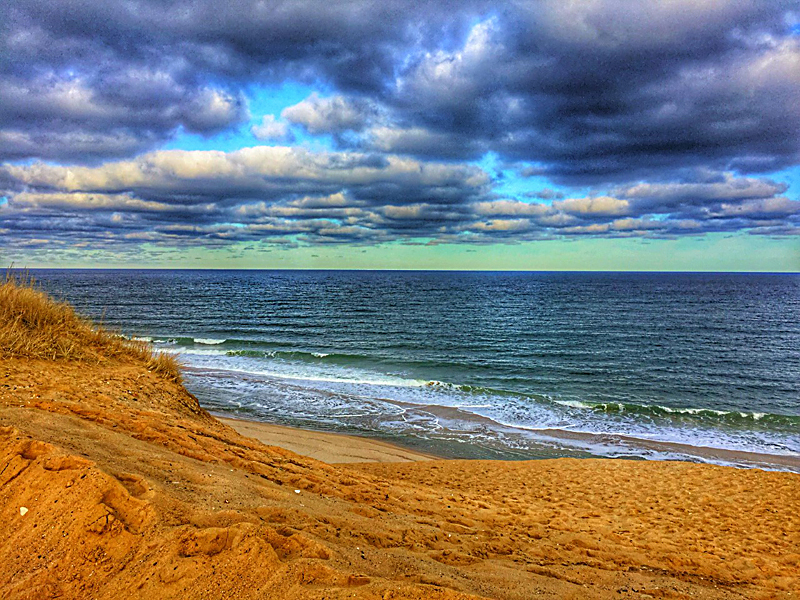 White Crest Beach is one of the most beautiful beaches on Cape Cod with its huge sand dunes that are 40-50 feet high. I loved the colors of the clouds and the sky. 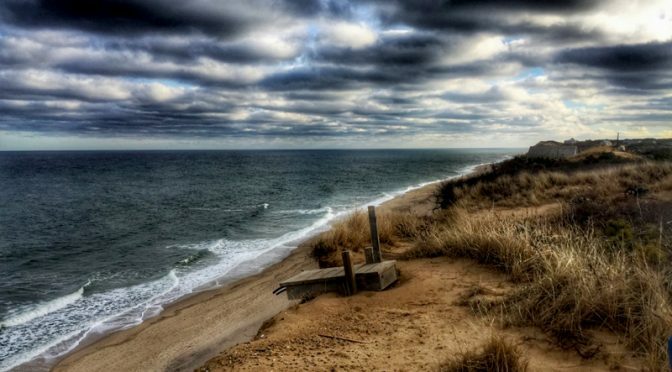 It was a gorgeous, sunny day at White Crest Beach in Wellfleet, very warm for late November. The shadows were starting across the high, high dunes as the afternoon sun was getting lower. Just spectacular, don’t you think? I picked this photograph to post today in honor of Phil’s birthday which is today. This was his favorite beach to surf back in his surfing days. So, Happy Birthday, Phil, may your memories here be full! And may you have an awesome day! 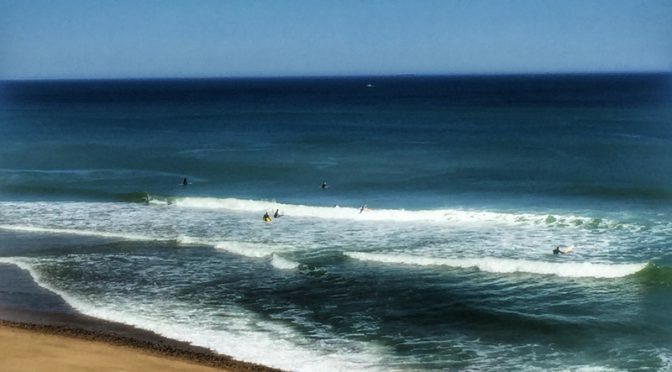 The surfers at Whitecrest Beach In Wellfleet on Cape Cod were patiently waiting for that perfect wave. There were quite a few of them braving the cold water of June. 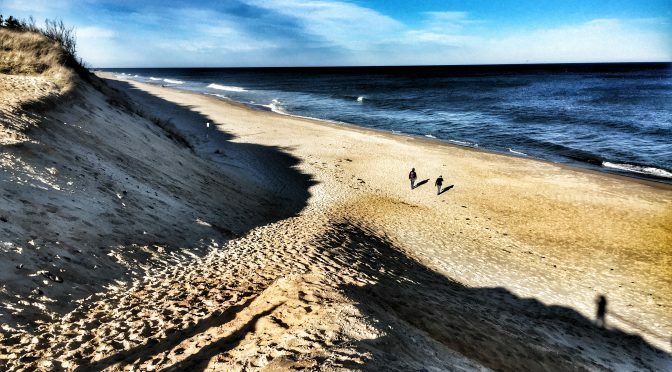 Whitecrest is a beautiful beach with towering sand dune cliffs on the National Seashore on Cape Cod. It is also known as Four Mile Beach and Surfer’s Beach because it features rougher waters, making it ideal for the surfers who often flock here.The beach is a prime surfer hangout. I loved the coloring of the water and the waves. What do you think? 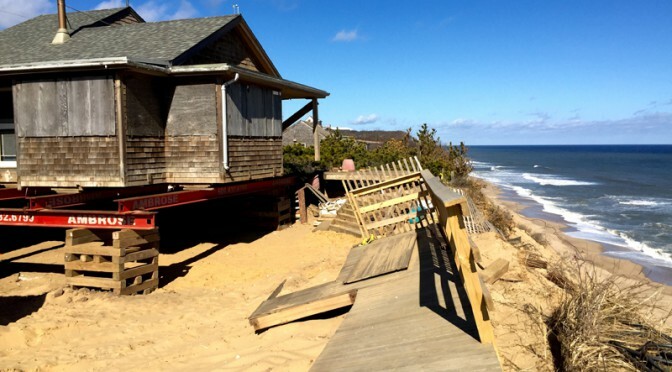 We had read about a house sitting right on top of the dunes in Wellfleet on Cape Cod that is so close to the edge that it is in danger of being swalowed up in a big storm. So we went to investigate. This house is really close to the edge as you can see in the photograph. It has been in the family for 60 years and was 150 feet farther away from the ocean at that time. We calculated that the ocean has eroded about 2-3 feet of the sand dunes each year since then. Unbelievable what Mother Nature can do. They are moving the house 15 feet back. Sure hope they can get another few years out of that gorgeous location! 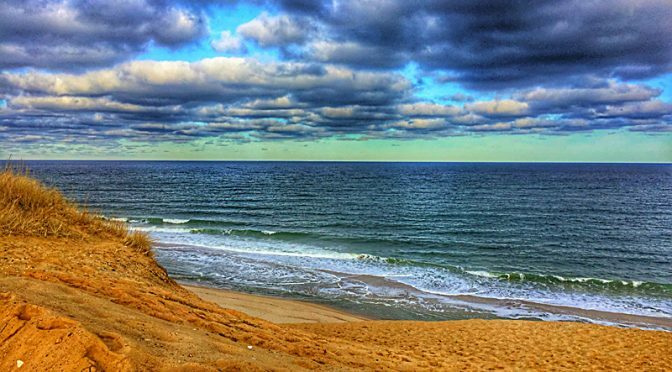 Yesterday was such a beautiful day at White Crest Beach in Wellfleet on Cape Cod. There was a little breeze so the waves were kicking in and the skies were glorious! If you have never been to White Crest, this photograph was taken about 70 feet up on the dunes overlooking the ocean.